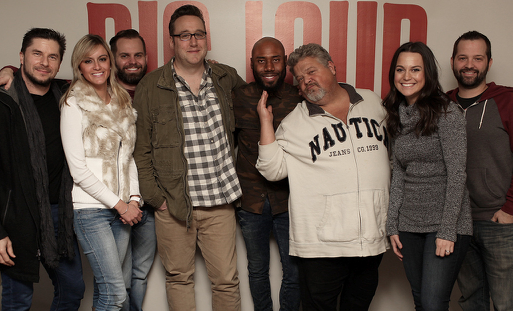 Pictured (L-R): Big Loud Mountain Partner and Artist Manager Kevin “Chief” Zaruk, Big Loud Shirt’s Jordan Kolodka, Big Loud Mountain Partner and Artist Manager Seth England, Big Loud Mountain Partner and Record Producer Joey Moi, Jamie Moore, Big Loud Mountain Partner and Songwriter Craig Wiseman, Big Loud Shirt’s Hannah Wilson and Matt Turner. Big Loud Mountain/Big Loud Shirt has signed songwriter/producer Jamie Moore to a publishing deal. Originally from the Florence/Muscle Shoals area of Alabama, Moore’s breakout success came in 2016 as a co-writer on Florida Georgia Line’s hit, “May We All.” He has also had cuts on Carrie Underwood’s Storyteller album, Chris Lane’s Girl Problems CD, the Swon Brothers’ self-titled album, and several projects by TobyMac, among others. Moore is also a four-time Grammy nominee.